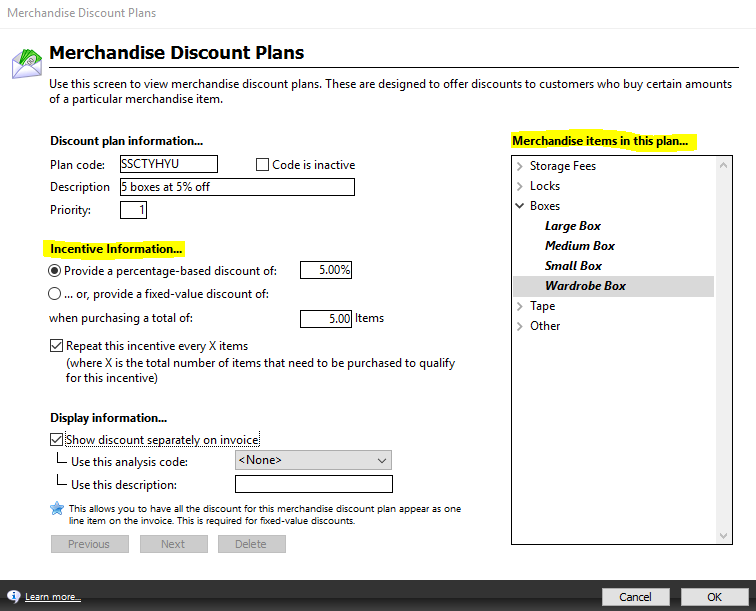 Merchandise Discount Plans allow you to create merchandise plans that provide discounts for buying in bulk. This are useful if you are trying to run stock out the door! During the below process you will be creating a Merchandise Discount Plan. From the Maintenance menu, select Merchandise Discount Plans. Adding Bulk Discount ensure Bulk Discounts is selected and click Add Merchandise Plan to add a new Merchandise Discount Plan. Incentive Information. This is where you would enter the sale. Such as a 5% discount for buy 5 boxes or more. Merchandise Item in the plan. This are the item the plan includes. You can have a mixture of products. Display Information. This is the item that will show on invoices that include this discount. 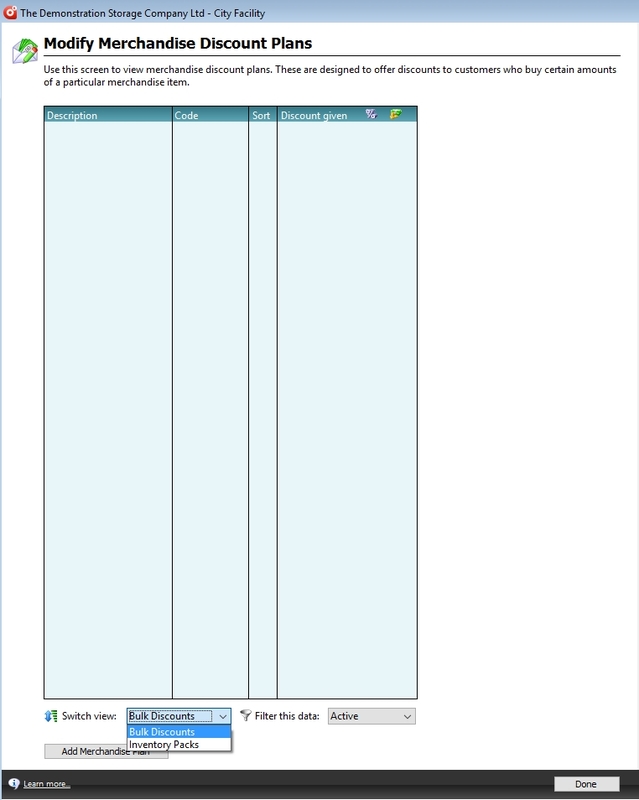 Select OK to save and close the discount plan and done to return to the dashboard.